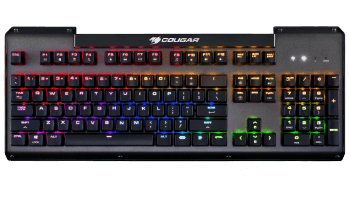 COUGAR ULTIMUS RGB "World of Tanks" is a keyboard for the committed gamer. 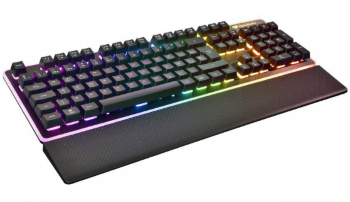 With mechanical switches, a fully customizable per-key RGB backlight and one of the sturdiest keyboard designs the world has seen, everything you need to dominate your opponents is here. 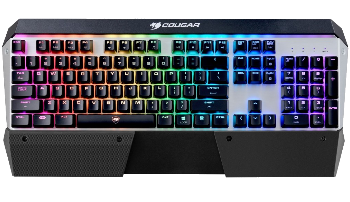 Design awarded Cherry mechanical key switches, fully RGB backlit with 16.8 million color options, and an exposed brushed aluminum structure for increased durability. 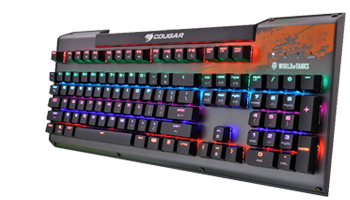 It's a comprehensive, custmizable, and optimal performance gaming keyboard. VANTAR´s scissor switches provide a silent quality feedback. Play at night without disturbing anybody. 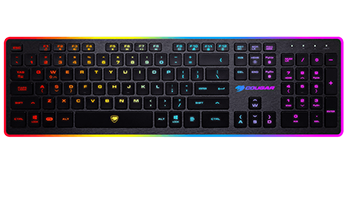 With a backlit area far larger than that of most gaming keyboards, you can enjoy 8 different effects. Hybrid mechanical switches and anti ghosting technology join the mouse’s adjustable DPI, and 1000 Hz polling rate to provide quick, accurate and reliable responses for your commands. 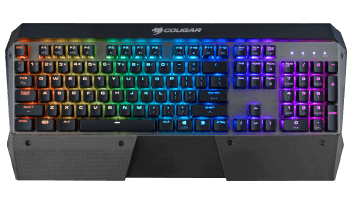 In addition, 8 backlight effects to make your gaming life more glorious.